While electric vehicles have a lot going for them, an area where they tend to fall slightly short is in long-distance travel. The average electric car can usually travel anywhere between 40 and 200 miles on one charge but given you’re not always guaranteed consistent access to charging stations, a long-distance road trip is something that still feels like something of a risk. That could change, however, thanks to Ford’s new joint venture to build a high-powered charging network for electric vehicles. Called IONITY, the venture will bring together Ford, BMW, Daimler AG, Volkswagen, Audi, and Porsche. Together they will install and run around 400 fast charging stations across major European roads by 2020. The process of installing the stations has already started and there are around 20 stations across Germany, Norway and Austria at 120 km intervals already. The aim is to have 50 stations by the start of 2018 and extend that number to more than 100 by the end of the year. 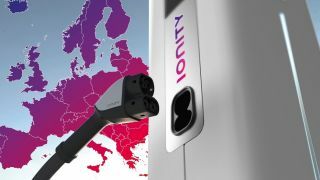 In order to ensure the charging stations are located in the most convenient locations for the greatest number of drivers, IONITY is working with existing infrastructure initiatives, including those supported by the participating companies as well as political institutions. Each charging station will have a capacity of up to 350 kW and the network will use the European charging standard Combined Charging System so that charging times are much faster than the majority of systems already in place. A great benefit to this venture for owners of electric vehicles is that it’s brand-agnostic. This means that, like an ordinary petrol station, several drivers will be able to charge their cars at the one station no matter what brand they’re driving. Given the amount of recent European government initiatives to increase the number of electric vehicles on the roads, initiatives such as this certainly help to make them an appealing alternative to traditional cars.